Two Templar knights were arrested in Scotland and put on trial in 1309 at Edinburgh. During the course of their testimony, which was written down and preserved by the clerics of the court, one of the knights testified about the escape of the other Templars. The Preceptor was the highest ranking Templar in Scotland. When the trial of the two Templars was completed, no guilt had been found against them, so no sentence was passed and they were free to go. There is no record of any other Scottish Templar being arrested. In other words, 100 percent of the Templars in Scotland survived. Acta Rymeri, tom. iii, p. 182. In about 1340 Ludolph of Sudheim, a German priest on a pilgrimage to the Holy Land, came upon two elderly men on the shores of the Dead Sea. He entered into conversation with them and discovered that they were former Templars, captured when the city of Acre had fallen to the Mamluks in May 1291, who had since then been living in the mountains, cut off from all communication with Latin Christendom. They had wives and children and had survived by working in the sultan's service. 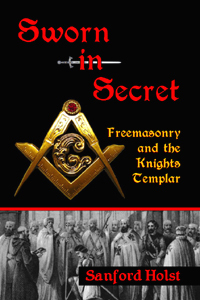 They had no idea that the Order of the Temple had been suppressed in 1312 and that the Grand Master had been burnt to death as a relapsed heretic two years later. The men were from Burgundy and Toulouse and, within a year, were repatriated, together with their families. Despite the scandal of the suppression, they were honourably received at the papal court, and were allowed to live out the remainder of their existence in peace. 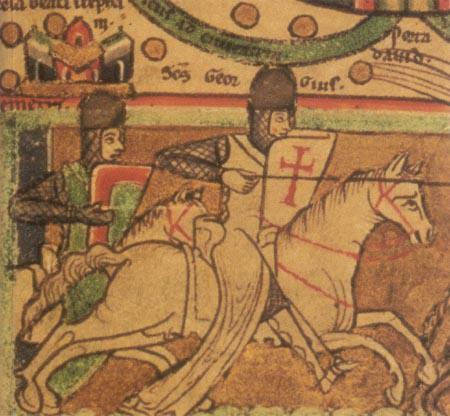 These two Templars were the almost forgotten remnants of what, barely a generation before, had appeared to be one of the most powerful monastic orders in Christendom. During the thirteenth century the Order may have had as many as 7,000 knights, sergeants and serving brothers, and priests, while its associate members, pensioners, officials, and subjects numbered many times that figure. 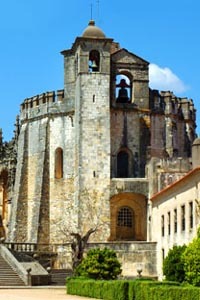 By about 1300 it had built a network of at least 870 castles, preceptories, and subsidiary houses, examples of which could be found in almost every country in western Christendom. The extent of the Templar empire can be gauged from the fact that in 1318 pensions were being paid to former Templars in twenty-four French dioceses, as well as in York, London, Canterbury, Dublin, Tournai, Liège, Camin, Cologne, Magdeburg, Mainz, Castello, Asti, Milan, Bologna, Perugia, Naples, and Trani, in Nicosia in Cyprus, and in the kingdoms of Aragon and Mallorca. Barber, Malcolm The New Knighthood: A History of the Order of the Temple (Cambridge: Cambridge University Press, 1994), p.1-2. Ludolph of Suchem, Liber de Itinere Terrae Sanctae, ed. F. Deycks, Stuttgart, 1851, ch. 41, p. 89. G. Mollat, ‘Dispersion définitive des Templiers après leur suppression’, Comptes rendus des Séances de l’Académie des Inscriptions et Belles-Lettres, Paris, 1952, p. 378. This article was published online by Sir Knight Sanford on Dec. 15, 2012. Some of the Templars who survived the attack on their Order in 1307 had their individual stories recorded by historians or mentioned in old records. The ones shown here are drawn from the work of Malcolm Barber and Charles Addison, with the original sources noted.